Stillpoint is open seven days a week with yoga classes daily. Float is open Tuesdays through Sundays. A yoga studio with a flotation therapy spa recently opened in King of Prussia's Moore Park. At Stillpoint's new location, there are two studio rooms and four private float suites. The custom-built float pools contain about 1,200 pounds of Epsom salt each, to provide guests with the feeling of complete weightlessness. Guests can stretch out in the water while listening to music or in silence, and with or without light. "Yoga and flotation therapy, when practiced in tandem, can rejuvenate, strengthen and relax your body, leaving you feeling refreshed, recharged and revived,” said Dianne Rutstein, Stillpoint owner. Those who incorporate flotation therapy into their yoga practice may notice an increase in flexibility, since flotation helps muscles to relax between sessions. 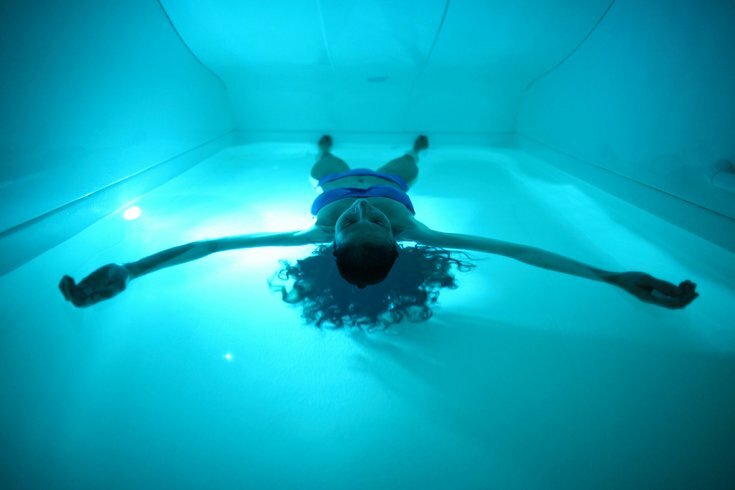 But floating can be beneficial to non-yogis too, since it’s the ultimate way to detach and take some "me time." First-time floaters can try out a 60-minute session for $60, or a 90-minute session for $70. As for yoga offered at Stillpoint, there are beginner-level classes, Vinyasa and heated Vinyasa, guided meditation and a variety of special workshops. Currently, those new to the studio can try 30 days of unlimited yoga for $30. If you're interested in checking it out, you'll find Stillpoint at 600 Clark Ave., King of Prussia, PA 19406.